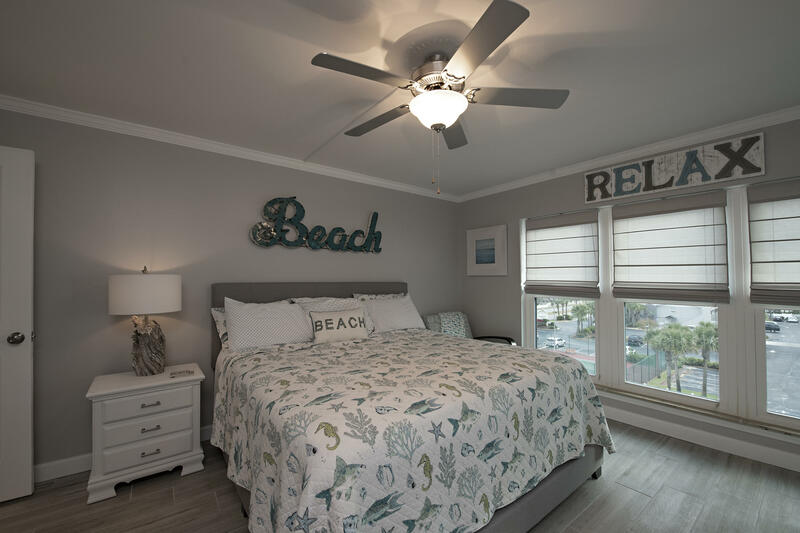 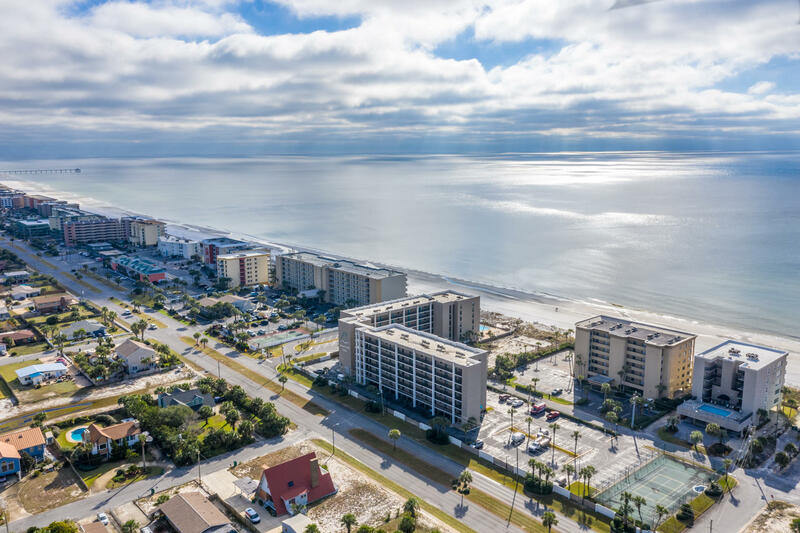 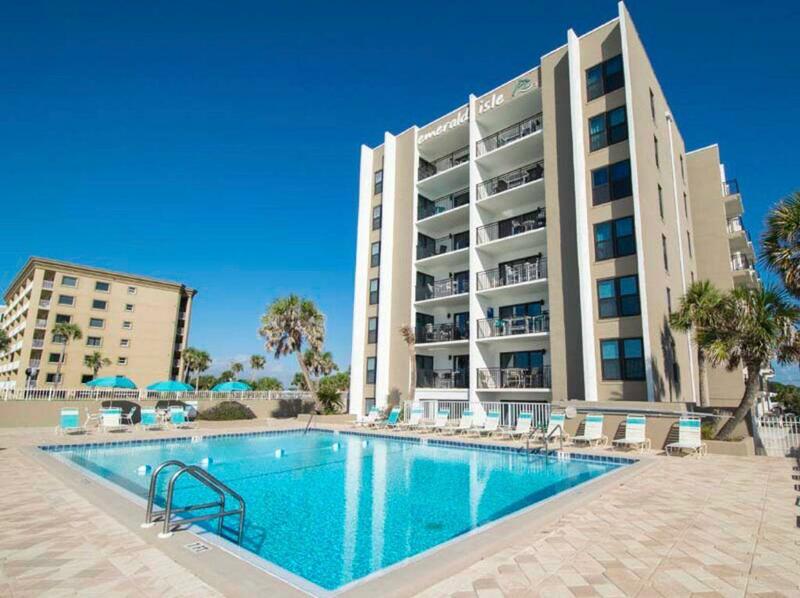 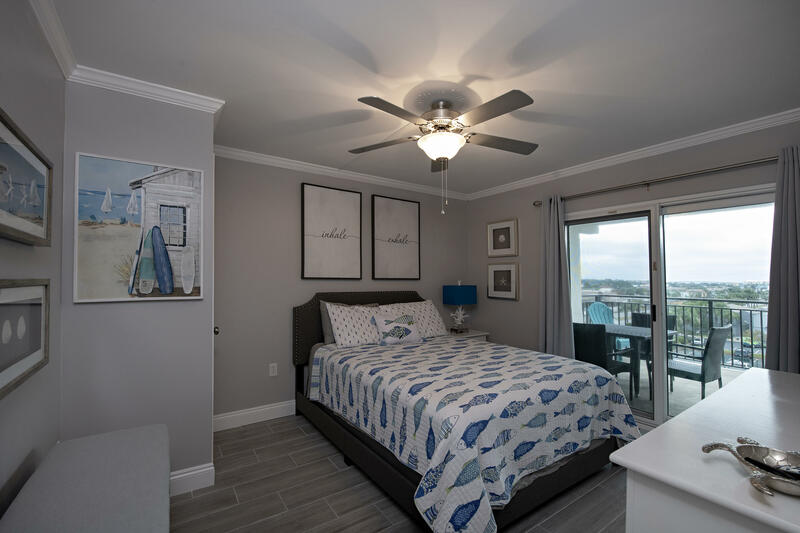 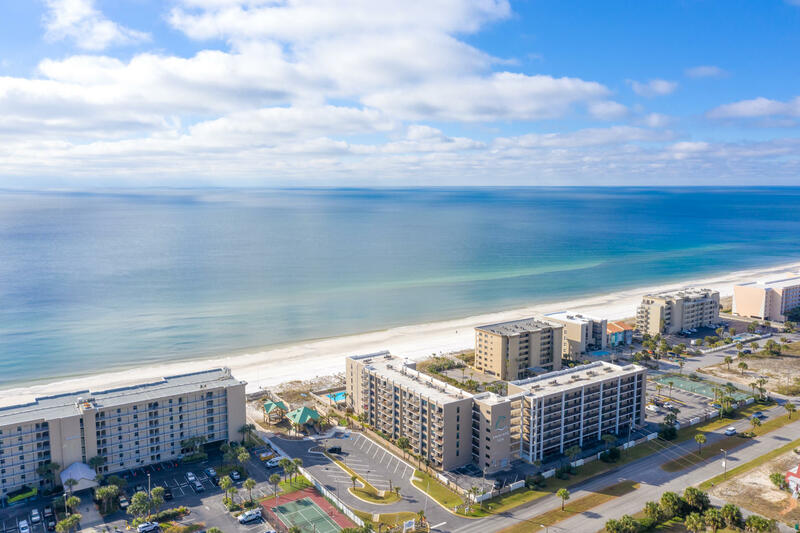 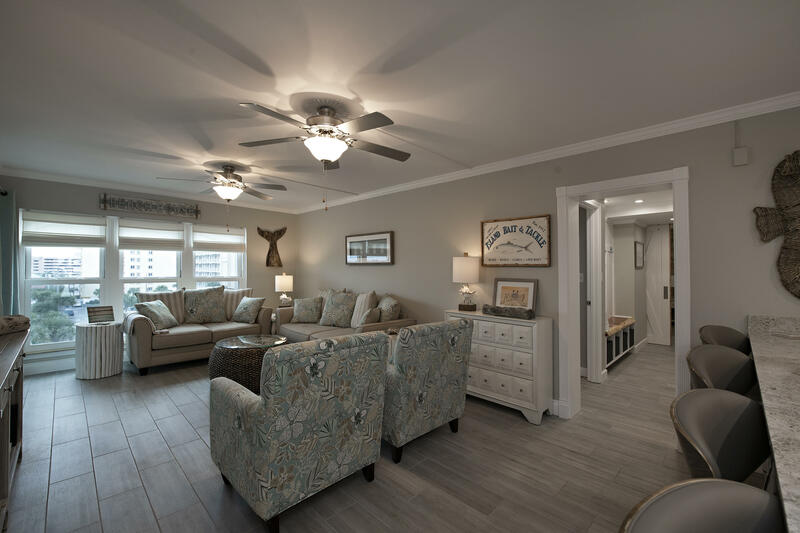 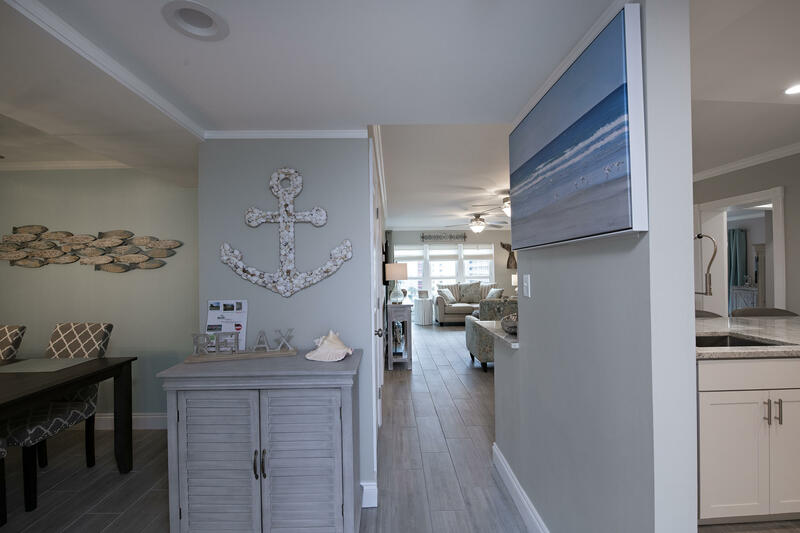 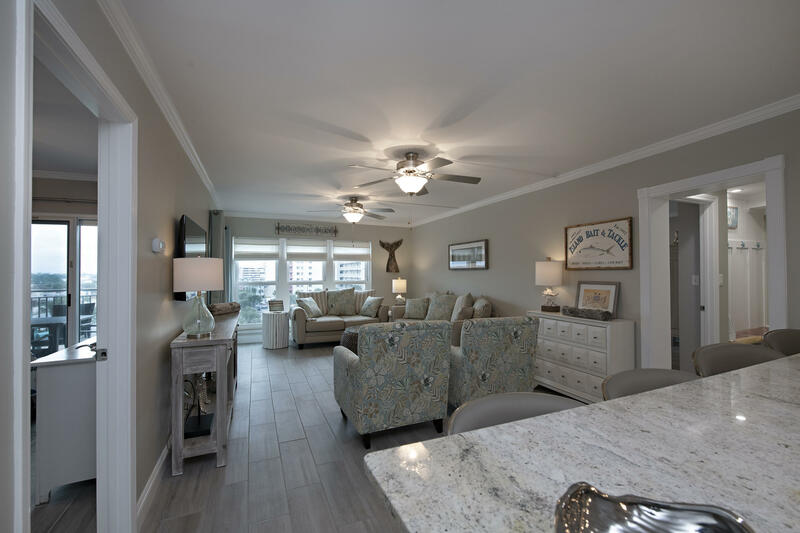 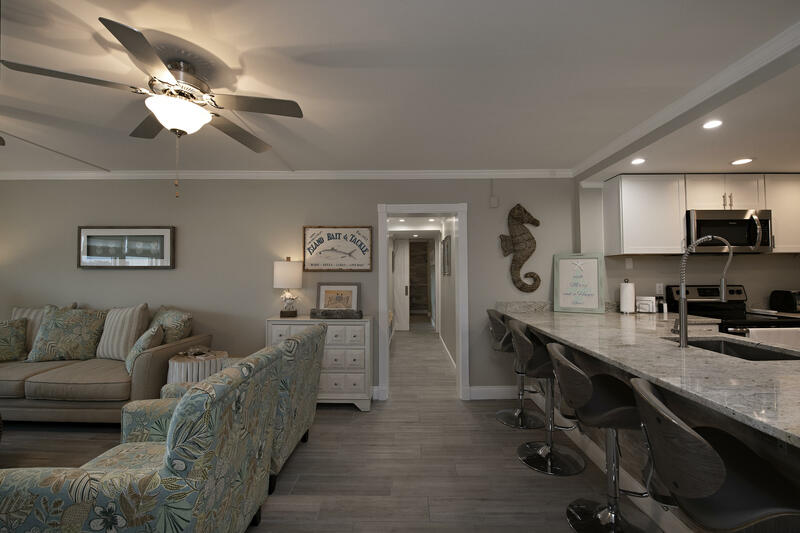 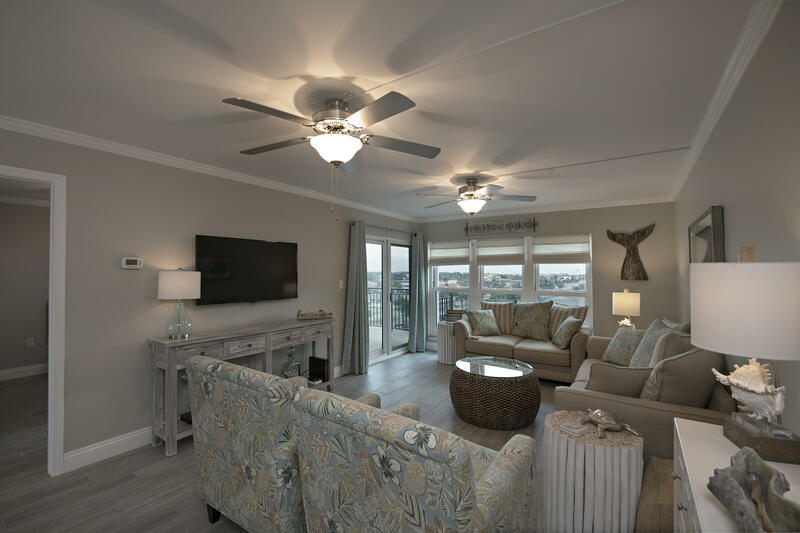 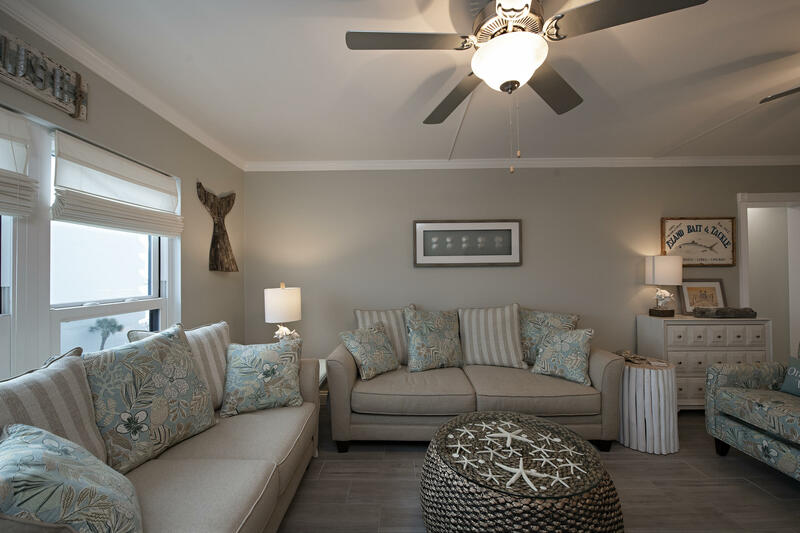 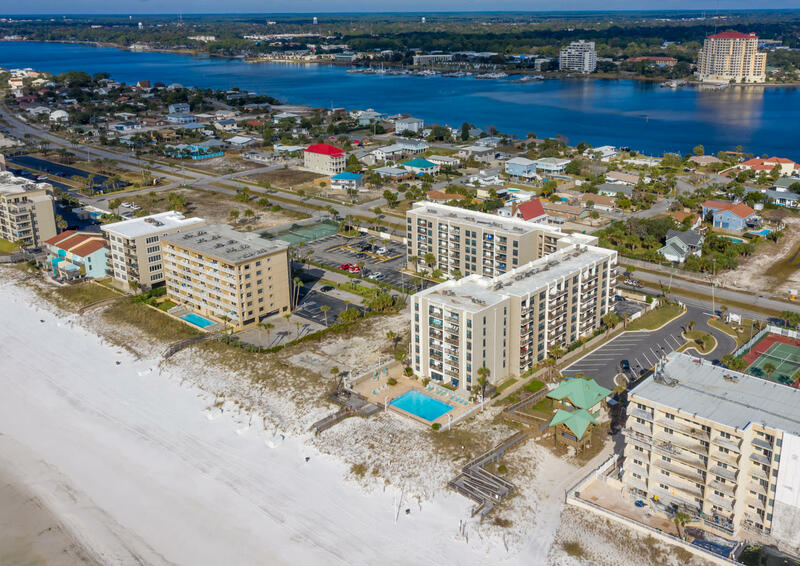 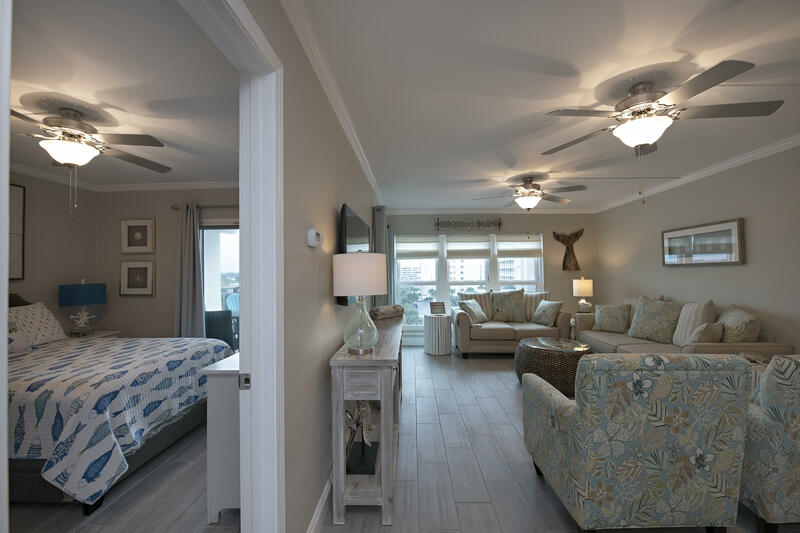 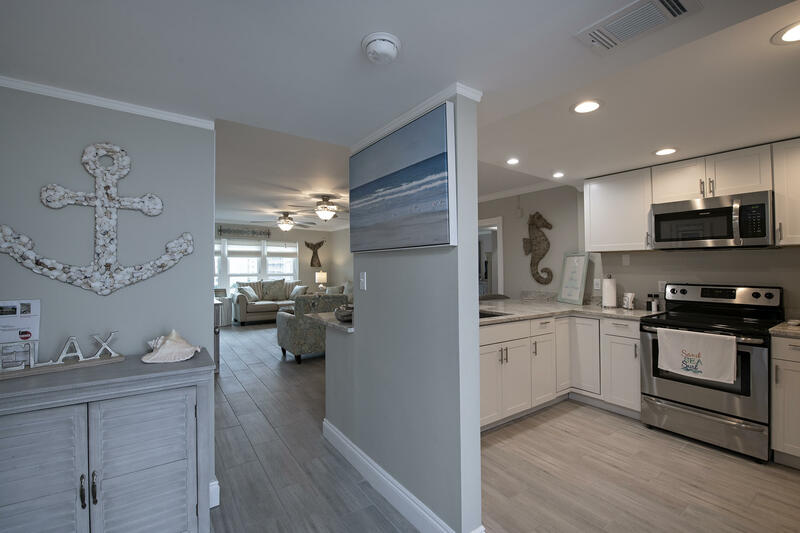 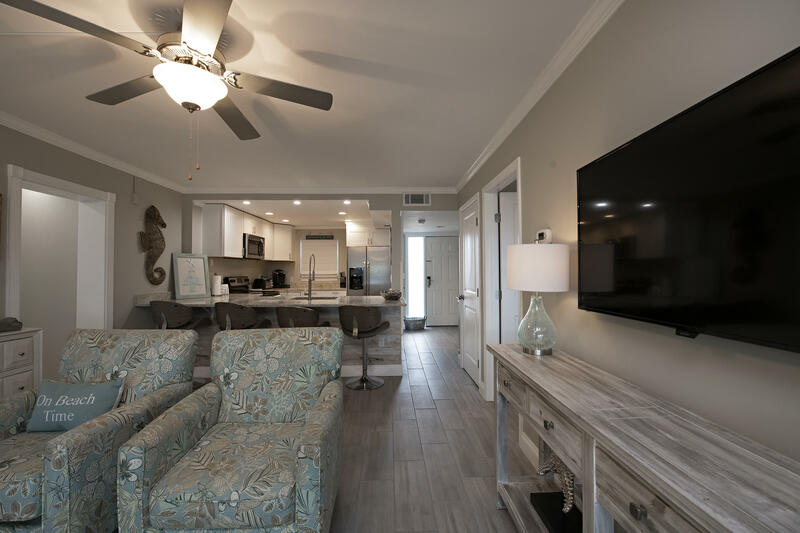 JAW DROPPING, FOUR BEDROOM CONDO available NOW at Emerald Isle on Okaloosa Island! 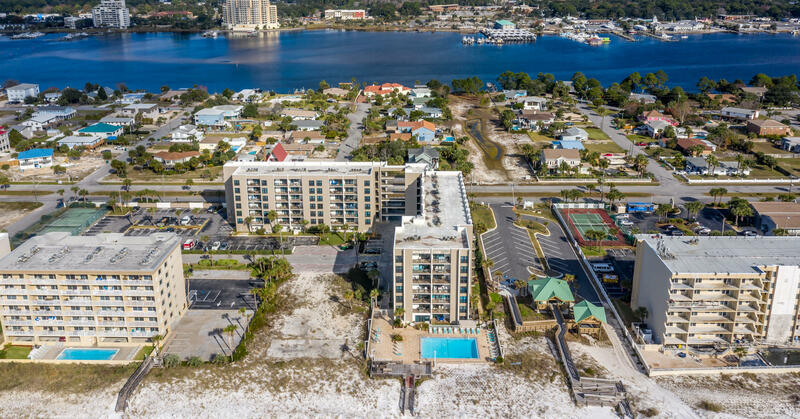 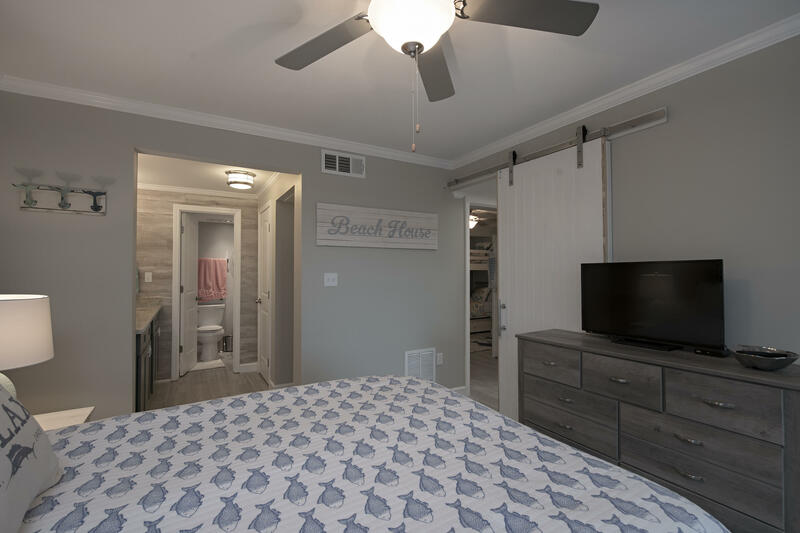 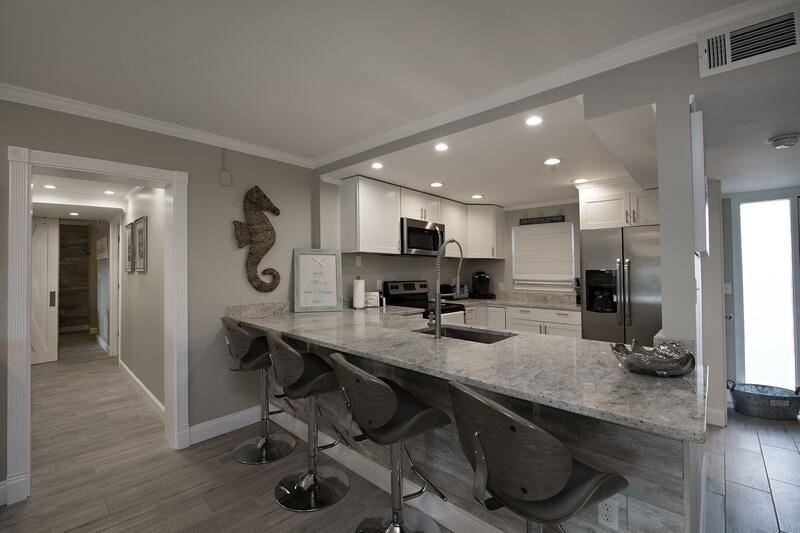 Just minutes from the hot spots and shopping in Destin and a quick walk downstairs from the white sand beaches of the Emerald Coast. 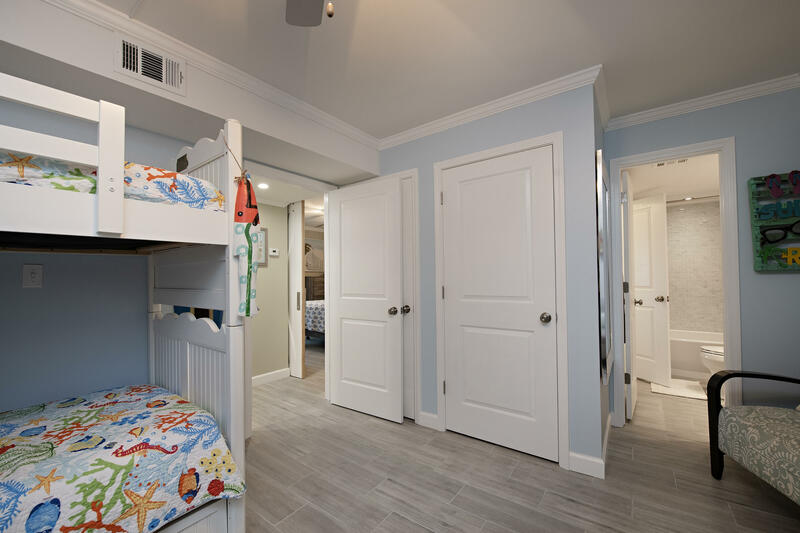 The owners spared no expense in remodeling the unit from top to bottom. 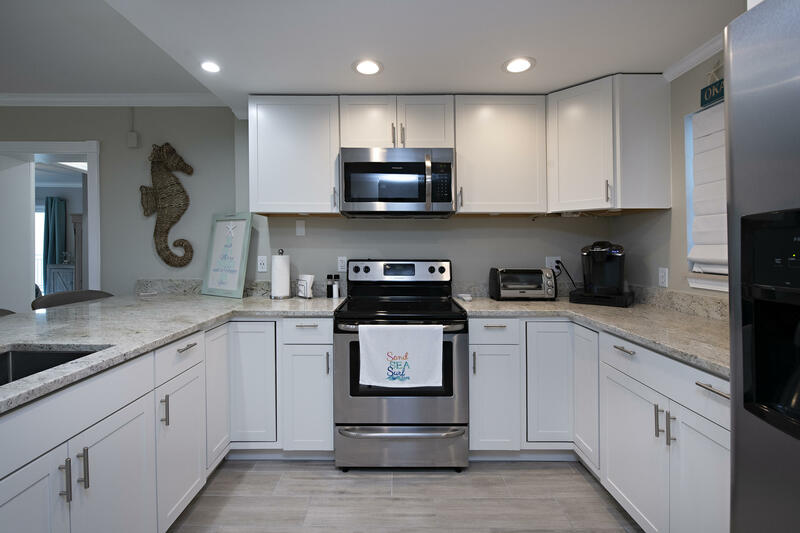 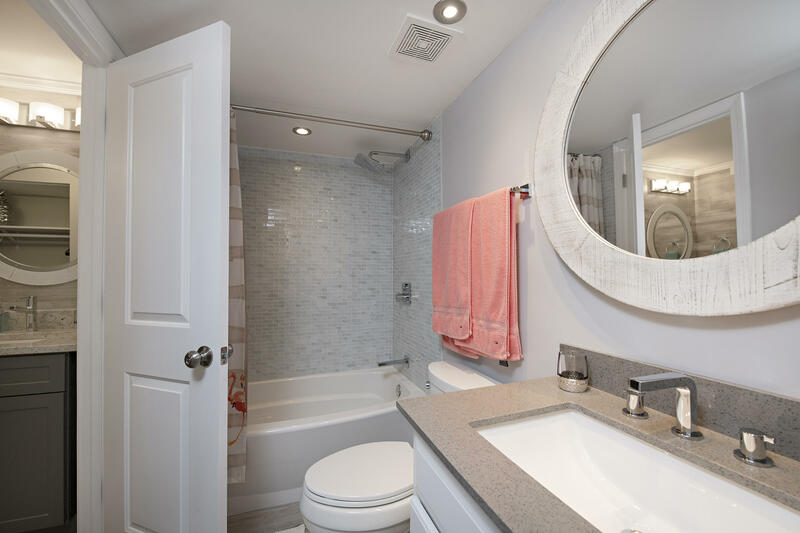 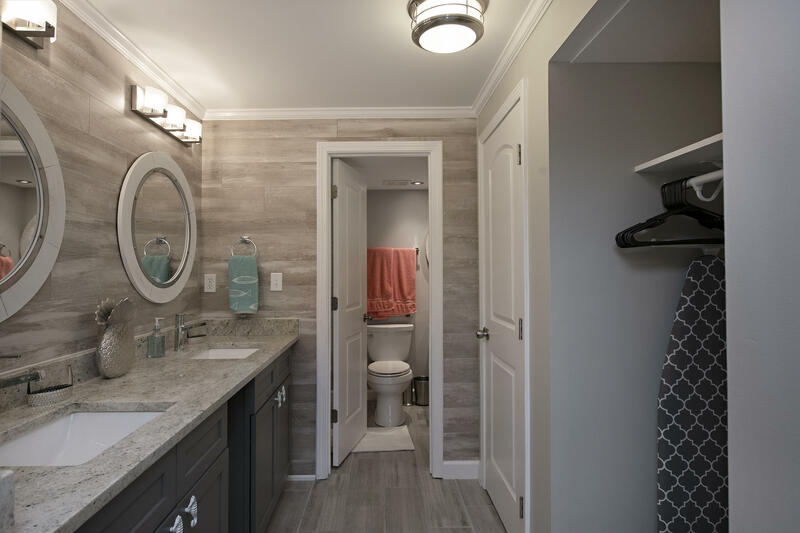 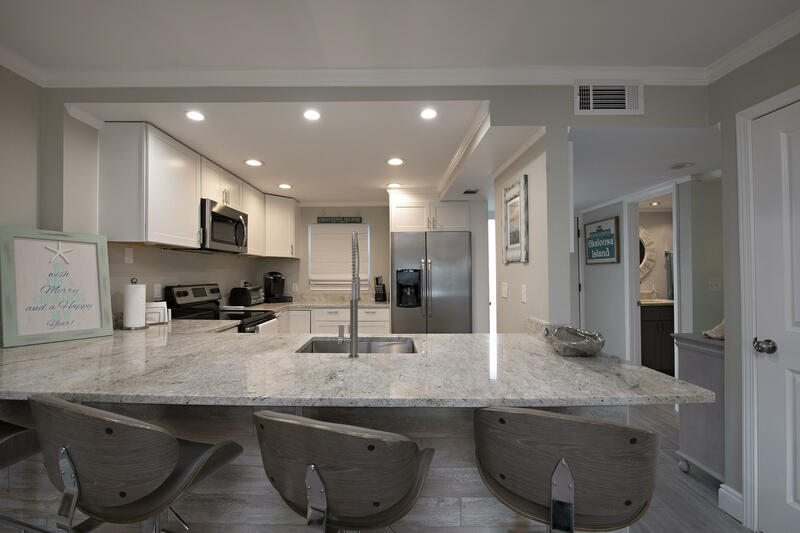 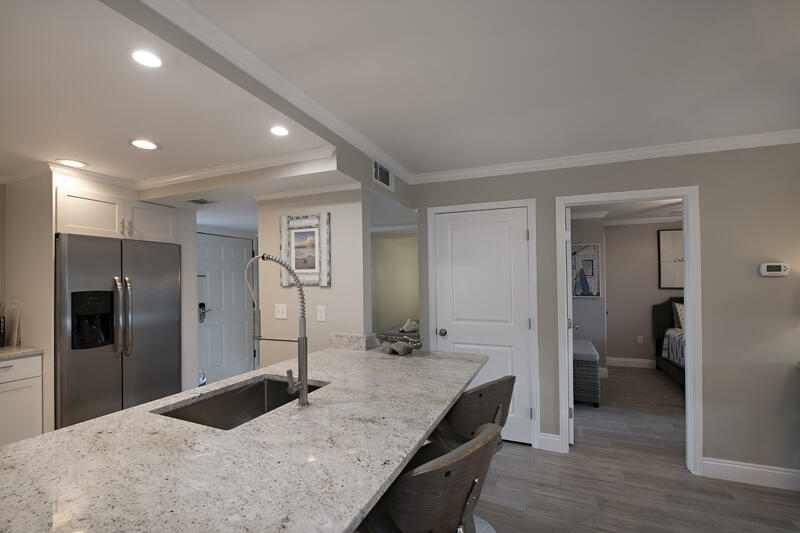 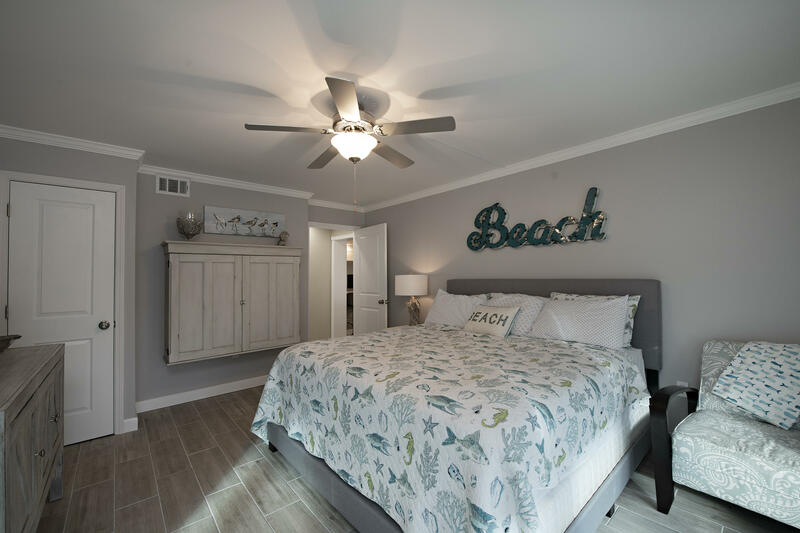 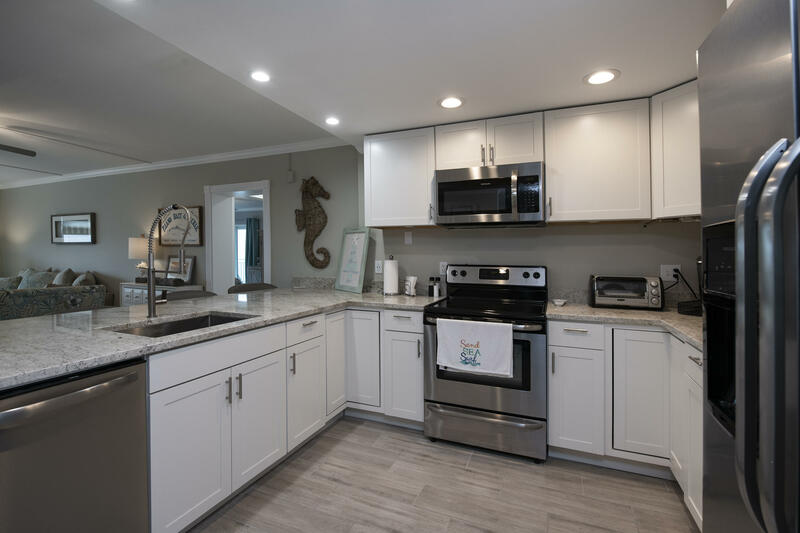 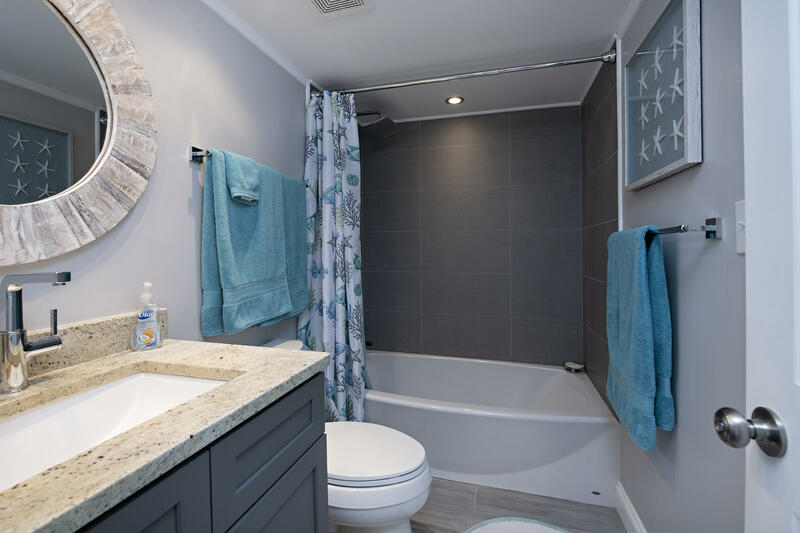 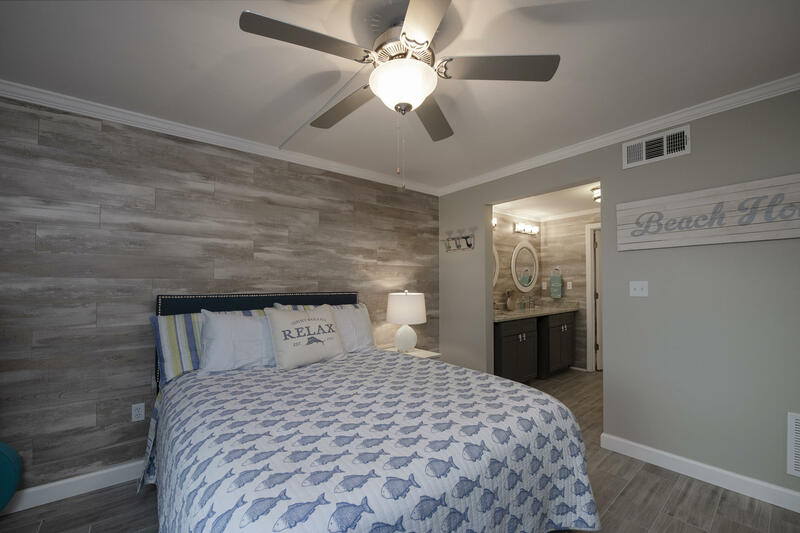 The unit features modern gray toned wood-look tile throughout (NO CARPET), fresh paint, new cabinetry, new stainless steel appliances, GORGEOUS granite counter tops and brand new fixtures throughout. 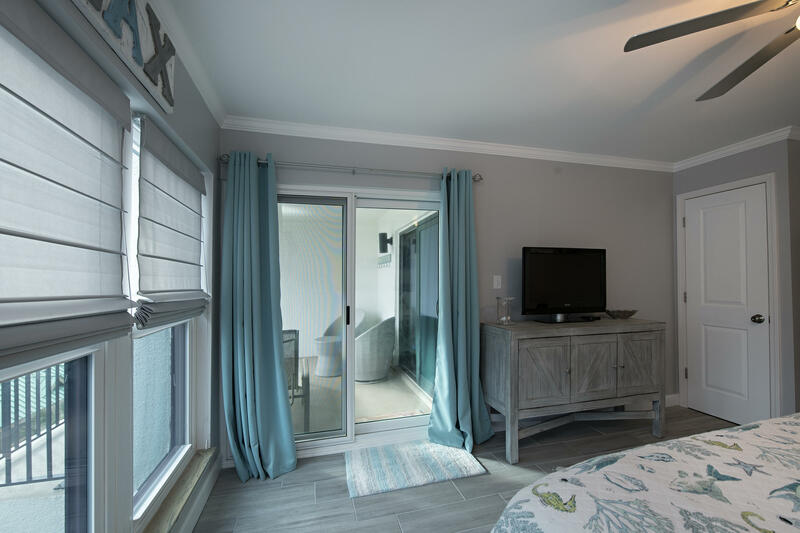 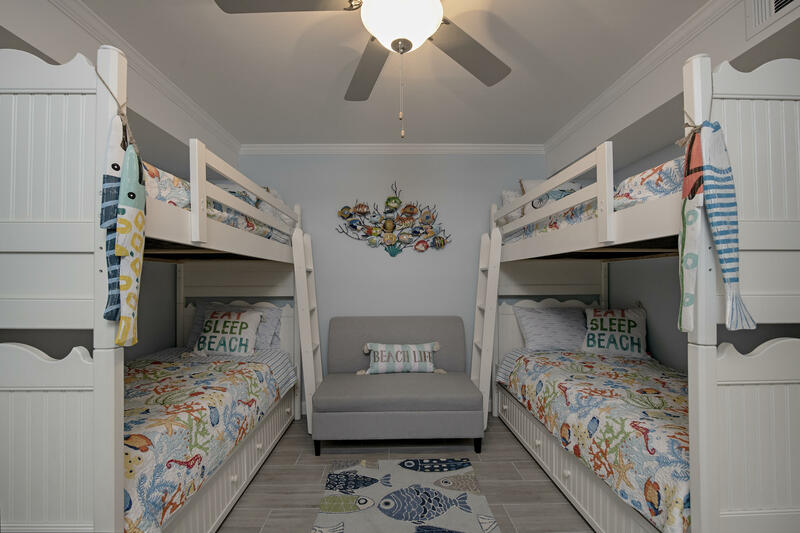 The unit sleeps 10 people which is great for the vacation rental market. 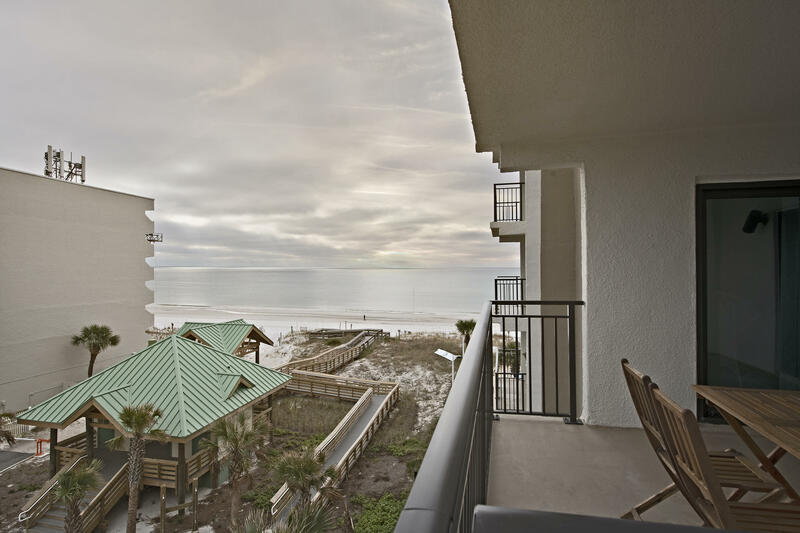 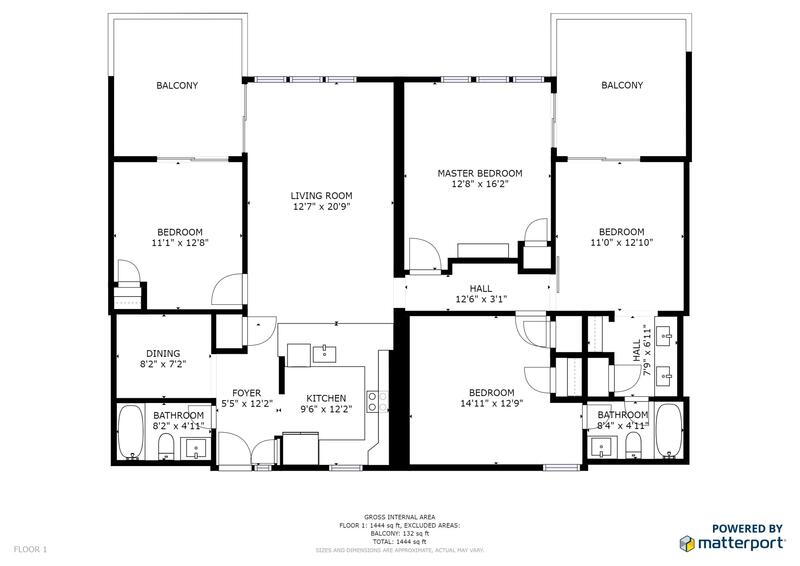 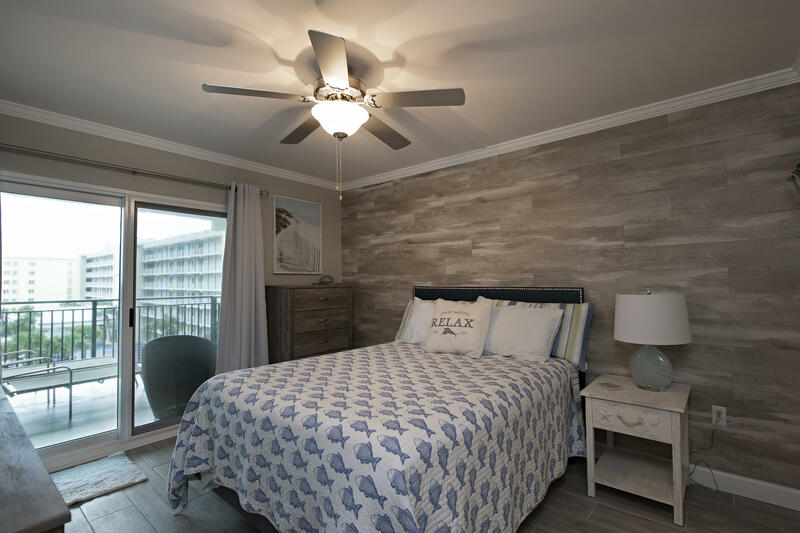 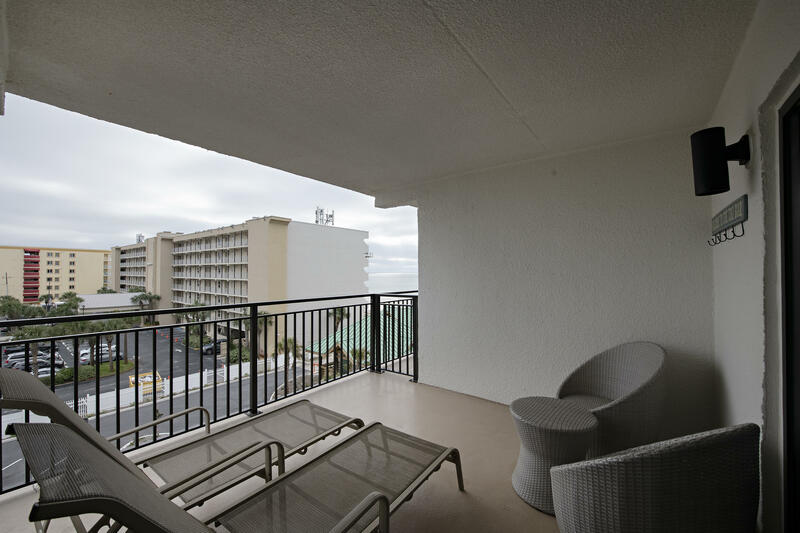 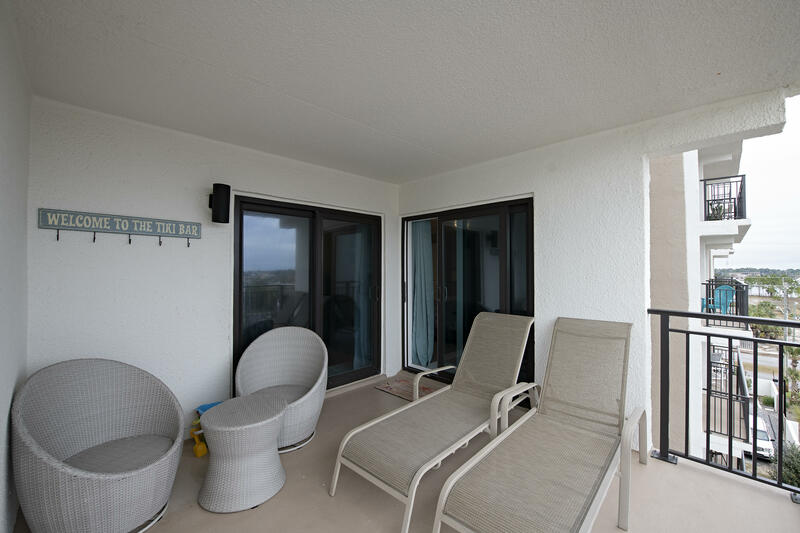 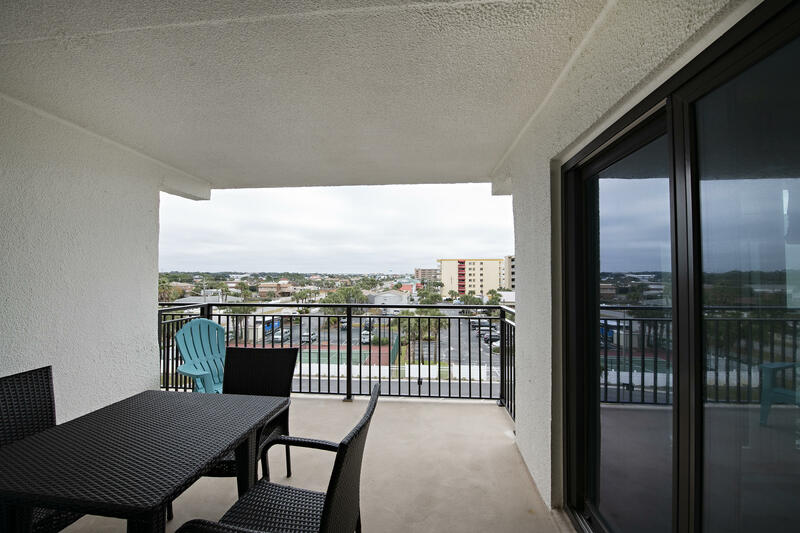 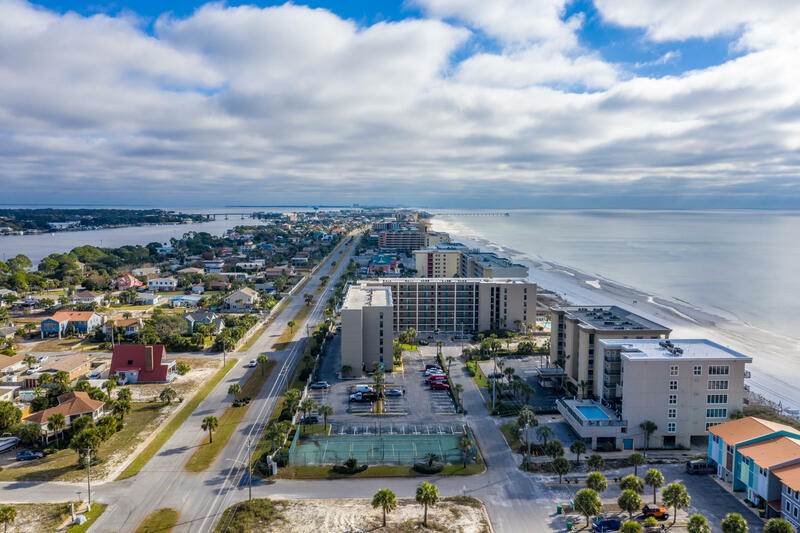 Enjoy views of the gulf and sound from the TWO balconies in this unit. 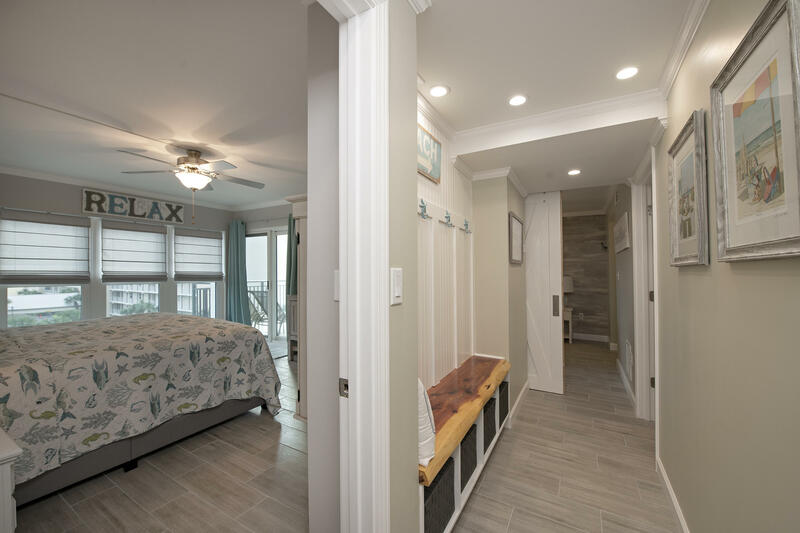 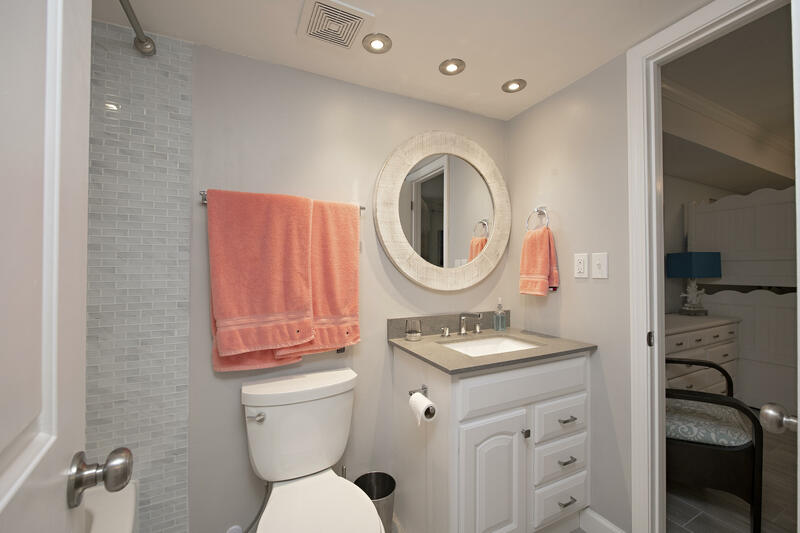 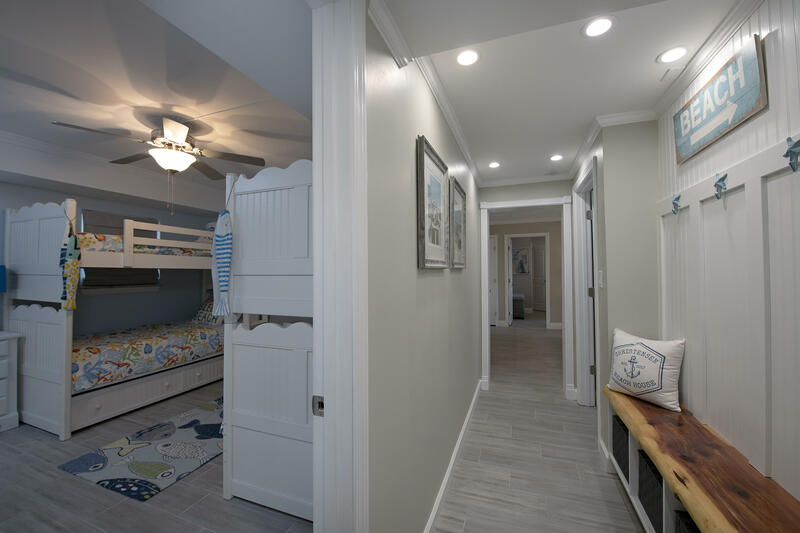 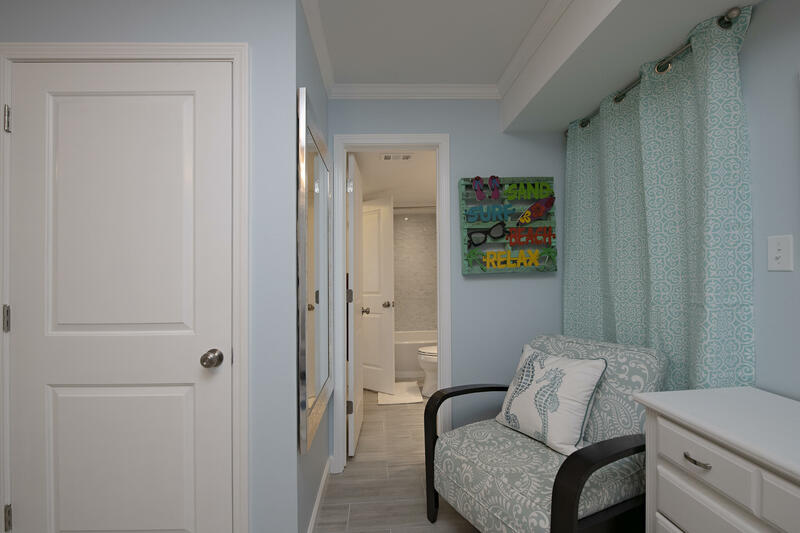 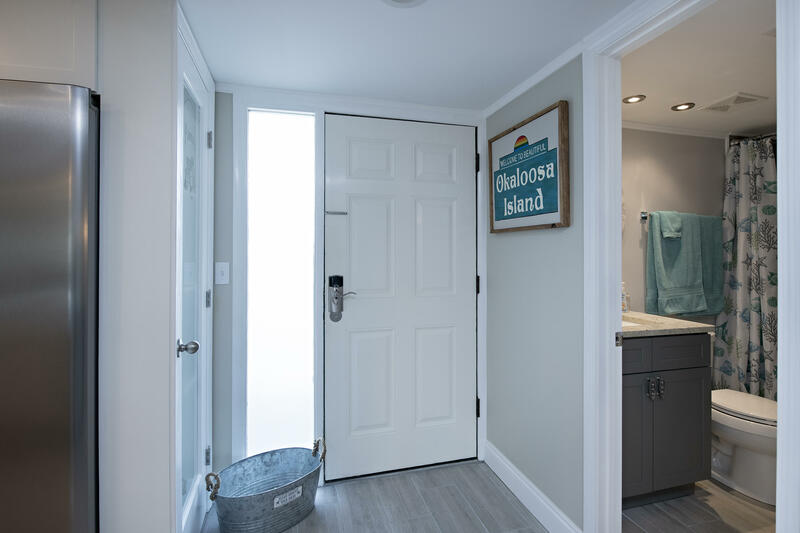 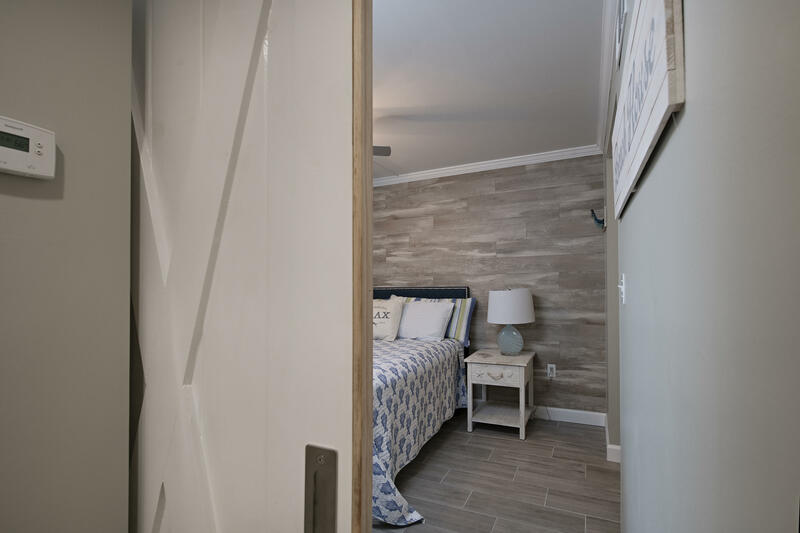 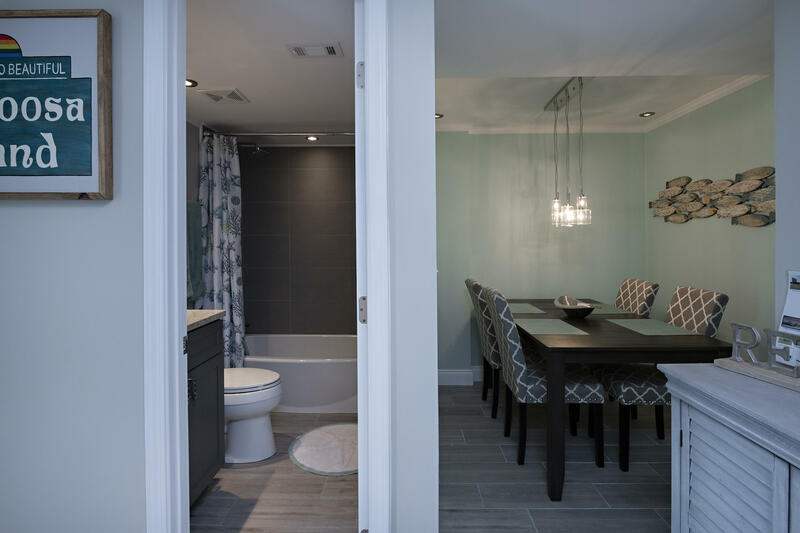 The owners put careful thought in to many custom features in the unit such as the wood accent walls and hallway bench area.